Little known fact: I designed a game last year. It is a small game, one I had snuck in at the last minute into the 2018 Solitaire Game Design Contest – and then life blew up with my daughter and I wasn’t able to do much with the game, much less playing any of the other entries into the contest. Needless to say, my game remained far under the radar over the course of the playing and voting process. And part of me was disappointed at the poor showing on my end of things, which was reflective of how my game performed. But I had done it. At the end of the process, I had still designed a game. It wasn’t a perfect game. The only reason it had cards and components to print were because of another BGG user who kindly threw them together for me. But if my time as a writer taught me anything that could translate into game design, it was that the first draft of a game is not the finished draft of a game. And so I slowly began to tinker with The Honor of the Queen in those rare spurts of inspiration. And now we have a game with a BGG entry, complete with a rulebook to download, and components to print and play, and even a form to fill out to provide playtesting feedback. But that isn’t what I want to focus on for today’s design diary entry. I want to go all the way back to the 24-hour period when the game was first designed and talk a bit about how it came about, and who/what inspired the creation of this game in its earliest form. You might say it all began in the spring of 2018, when I first started to dabble in game design with Monster Huntress. I wanted to make this massive deckbuilding/worker placement hybrid game based upon the novel I had just published. I hand-crafted dozens of cards, enough to test the early parts of the game, and a board. I figured out a worker placement mechanic that would work. But then I realized the scope of that project and how much investment it would require – especially for a first game design. So I put that on the back burner and came up with half a dozen other designs of various size and scope. That led to my creation of a project I’m working on still with the codename “Out of Gas”, which is putting my own spin on the deckbuilding system from Friday. Both of those are games I still intend to create, and have seen varied levels of progress since they were set aside. But even “Out of Gas” was far too large, needing over a hundred cards to be designed and created. Fast forward a few months, and I got to know the wonderful Alf Seegert a little bit via email and social media. If you don’t know him, he is responsible for excellent games such as Fantastiqa, Fantastiqa: Rival Realms, and Haven. He also happens to be a Literature professor as his day job, something that I still aspire to do one of these days. After some conversations with him, he mentioned a desire to do a Gawain and the Green Knight design some day, which got me thinking of literary themes I enjoy. Your last email to me was, unsurprisingly, inspirational. It took a few weeks to discover that, but I had a game pop out of my head last week centered around one of the many memorable Arthurian tales. It worked far better than expected, too, with the number of cards I needed to try and design a game with 9 cards and a few other components. In the game you are Sir Lancelot, and Sir Mordred and Sir Agravaine have brought along 12 Scottish Knights and discover you in the Queen’s chambers while King Arthur is away. Therefore you are facing these knights, fighting to escape the ambush as well as prove the Honor of the Queen is unblemished before Arthur has her burned for infidelity. In 24 hours I had a theme, around which I built a game and then hand-crafted the 9 cards for a prototype and the counters. Finding the right theme was a bit of a challenge, as there are so many great Arthurian tales out there, but for some reason the romantic relationship between Lancelot and Guinevere was where I continued to circle back toward. When I found out that there were 14 knights total who ambushed Lancelot that night in Guinevere’s chambers, I knew I had a theme I could design around in a 9-card space, making the cards each contain two versions of knights. I spent an hour or so looking hard into the story, both to ensure I had a clear idea of the events as well as to find as many named knights as I could for the second half of the game. While I could never come up with 7 like I hoped, it was enough to make sure there were more than just “Scottish Knight” on every card. The second thing I needed to consider, now that I had my theme, was combat for the game. Lancelot was the greatest of all of Arthur’s knights, and his renown carried a lot of weight. Knights tended to measure themselves by their virtues, not just their strength of arms. And thus the Knightly Virtue system was born, where I researched into some of the Knightly Virtues and selected four that would work well as thematic areas that a knight might become known for. I enjoy decision points in games, and so I knew I wanted each knight encountered to have two different virtues on their card so the player could choose which to try and match. While I usually dislike randomness in games, especially if it hinges on a dice roll, this game needed a system to throw in an element of uncertainty for both sides. I didn’t want there to be a situation where there was no risk of losing, nor one with no chance of winning. And so I came up with the chit pull system, with the numbers weighted toward adding to his Virtues yet also with a risk of automatic success or failure being drawn. To include a decision point for the player, I wanted there to be a way to draw a second time if the first number was undesirable, and having Lancelot sacrifice the power in one Virtue to try and push harder to win in a different Virtue seemed like a solid concept to allow a 2nd chit draw as desired (this would later be refined to allow players to also spend Virtue to remove a chit permanently, helping them “stack” the bag even more in their favor). Lancelot, because of his reputation, would obviously win in ties. I imagined a hallway full of these fourteen knights, with Lancelot struggling to break through and escape from the ambush but being able to face them individually because of the close quarters. Because Lancelot was caught off-guard by the situation and not as well-equipped, it made sense for him to begin with a lower set of statistics that would, as he gained momentum, get stronger as he progressed through the ranks of the knights. Also of equal importance, though, was his role as a champion for Guinevere, the Queen. While victories were important for Lancelot personally in order to escape, any defeat at the hands of a foe would be a mark against the honor of Guinevere. While the initial design of the game was simply throwing numbers onto the card and seeing how it worked, it gave me a starting point that was satisfying to play and challenging to defeat – both qualities I wanted in this short solitaire experience. I’ve since tweaked the numbers, and a little bit of the gameplay (which I will outline in the next design diary, I think), but as a whole The Honor of the Queen has remained relatively close to its initial concept. I’ve read a fair number of Arthurian works over the years, and I’ll end each of these design diaries regarding this game by recommending one of my many favorites. Today I’ll mention Lancelot, the Knight of the Cart by Chrétien de Troyes. This is a 12th century poem in Old French (but please, read an English translation. The one by Burton Raffel is quite good), and was the first appearance of Lancelot as a main character in Arthurian legend. Thank you for checking review #92 by Cardboard Clash. My aim is to focus on reviewing board games and how they play for two people and, on occasion, how they play for one person. Because my wife is my primary gaming partner, a lot of consideration goes into finding those games that play well with 2 players, and we typically prefer to find those games that do not require a variant (official or otherwise) in order to play it with just the two of us. **Note: A review copy of the game was sent in exchange for an honest review. At the Gates of Loyang is a board game designed by Uwe ROsenberg that is published by Tasty Minstrel Games. The box states it plays 1-4 players in 60-120 minutes. A farming efficiency game from Rosenberg without a worker placement mechanic? Yep, this game was not what I expected (to be fair, I didn’t do research beyond knowing it was Rosenberg and a highly-regarded game) and that turned out to be a great thing. Does it say something about me if I tell you this and Glass Road are in my Top 3 for Rosenberg games? And that Patchwork would be a close 4th…while I enjoy his worker placement games, there is something more enjoyable about the games that seem to break from that pattern and do something different. And this one succeeds at providing a rich and interesting experience. Money is tight. So very, very tight in this game. Stupidly so, you might say. And yet you need to spend money to earn more money – but you also need to spend that money to move along the point track. Which means you need to decide how best to spend each and every coin you earn along the way. You need to make sure you end every round with at least one, so you can get the cheap movement, and likely will also need 1-4 more for spending on cards in the market to begin the next round. And then decide if you want to use any excess to move along the point track before it gets more expensive, or save it to invest in buying and planting new crops for the following turn. So many excellent, tough decisions that provide a tense experience in a solo game. The market grid of cards for a solo game! I hadn’t expected this to be a highlight of the game, as usually when something as significant as this is changed from the multiplayer game it suffers in the solo experience. How can you simulate the drafting experience? By having a market where the price is based on where in the grid the cards are, and having a specific row wipe every single turn. THe fact that it is the 2nd row, where cards cost 1 coin, rather than the top row, where cards are free, allow you to not only plan ahead to try and get a lower card for free later but it also makes you have to consider spending money if you really need that card – which means you need to save said money at the end of the previous round. This aspect of the game is surprisingly good, and provides some nice decisions on engine building and resource management – especially since you can buy a maximum of 2 cards per round. The timer of the game is built into the mechanics. Not only do you get a new field each turn, but your starting 9-slot field is the game’s timer since you remove a crop every turn. This is clever and far more interesting than some arbitrary round timer that you might accidentally forget if you moved when engrossed in a solo play. The game is just a little longer than I would prefer for something like this. Not including the setup/teardown time, the games I’ve played have all clocked in at over 60 minutes. They usually come close to the 90-minute mark – roughly 10 minutes per turn. This is because you have so many decisions to make, and can use any number of actions (only the Two-Pack is restricted to a once-per-turn limit) until you pass. This means those early turns are probably going to go a little faster, but the middle – when you are harvesting from 5-6 fields and making critical moves to set up for the final rounds – typically has longer turns as you try to eek out every coin possible from what you are given. I am always engaged during my plays, but the length of the game will limit how often it hits the table for me. Loans are present in the game, and with an interesting twist: you cannot pay them back during the game. Those 5 coins you will gain via a loan will cause you to move back one space on the scoring track at the end of the game. Which seems like a huge cost for the gain of just a few coins. I’m sure there is a time where it makes sense to take this loan. But I simply haven’t come across it yet. If the idea of moving and placing a bunch of wooden tokens is likely to turn you off from a game, then this might be one to avoid. From the setting of the initial market board to the filling up a field when planting a crop to placing the matching crops on the Market cards, to harvesting crops from each field, to placing crops from your supply onto those multi-turn order cards – yeah, there is a lot of moving around those little wooden crops. I personally do not mind, but I know others may be turned off by the process. At the Gates of Loyang is one of those games you hear solo gamers rave about, but you try to dismiss it as hype of some form. You’ve tried some of tne Rosenberg games as solo plays and they almost universally left you feeling underwhelmed by their beat-your-own-score optimization that lacked much tension along the way. “Do good!” they say on that first play, and then “Do better!” but few things change from play-to-play in order to alter the planned sequence that leads to a typical outcome. And so you jettison this game off as a typical Rosenberg optimization fare. That was my approach toward At the Gates of Loyang. Honestly, when there came a chance to review this one, I agreed with my wife in mind because she loves Rosenberg games, and having something smaller than Caverna or A Feast for Odin would be a nice change. This review game was for her, and like the other Rosenbergs it would be one I would happily play a few times per year so she could wipe the floor with me, as she almost always does in worker placement games. But here’s where the two truths and a lie come in: this IS a Rosenberg game, and it IS an optimization farming game, but it is NOT a worker placement game. My mind was blown from the first solo play at the refreshing lack of worker placement. I delighted at the scoring track which was both simple, and difficult, to advance upon each round. I enjoyed the optimization of pulling the 1-2 cards I need each round from the solo-only market grid and the tough choice of whether to spend that essential money for cards or to save it for movement on the scoring track. In short, this game delivered a *Top-2 Rosenberg Solitaire performance. And there are so many things that I love about this game so far. It is a rare beat-your-own-high-score game that I positively enjoy because there is simply so much tension. And if you read my Maquis review, which just went like on Monday, you’ll see how much I delighted in the tension present in that game. Yet this is a different tension. Instead of a risk of losing at any moment, or a risk of having your plans thwarted, you have the tension of trying to eek out every last coin you can. The tension of deciding if you are better of buying X right now and moving less on the track this turn, or using the money to move up now before the price goes even higher to advance on that track. The tension of fulfilling a customer for payment or planting the crop to advance your engine for future turns. The tension of whether to take a loan for the money to do something now at the cost of losing a space at the end of the game. This game has the tension of tough decisions, and they all feel like they matter. And that is why this is such a great solo experience: because the decisions do matter. Unlike a Caverna or Agricola where the resources will continue to pile up turn after turn until you send a worker there, this game has things you need to accomplish, and some of them you need to accomplish every turn for four turns in a row when you take that card. Coming back full circle to where these final thoughts began, I wanted to review this game because I expected it to be my wife’s sort of game. I still do think that she will really enjoy this one, as she is a genius with farming and optimization games. But here’s the surprising thing about At the Gates of Loyang: this one has only hit the table solo so far. Partially because our lives remain so busy that we’ve only managed 2 dozen games as a couple in 100-ish days, putting the game selection for those plays at a premium. But partially because this game is just so dang good solo. If it was just a tad bit shorter, this would hit the table even more often. But as it is now, this is a game that has earned a permanent spot in my solo rotation. 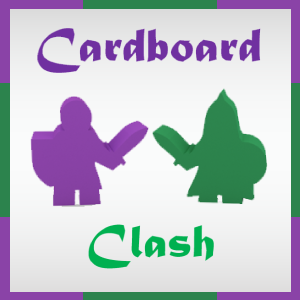 Thank you for checking review #91 by Cardboard Clash. My aim is to focus on reviewing board games and how they play for two people and, on occasion, how they play for one person. Because my wife is my primary gaming partner, a lot of consideration goes into finding those games that play well with 2 players, and we typically prefer to find those games that do not require a variant (official or otherwise) in order to play it with just the two of us. **Note: A prototype of the game was sent in exchange for an honest review. This game is currently on Kickstarter! Maquis is a board game designed by Jake Stains that is being published in 2019 by Side Room Games. The box states it plays 1 player in 20 minutes. When you think of worker placement, you think of putting out meeples to take an action or collect an item. And that is true still in Maquis. However, this game takes worker placement to the next level by adding in an incredible amount of tension based upon the level of risk you are willing to take. Do you place a worker on the outskirts location whose action you need to use this round, or do you try and build your safe route up the map and hope it remains open? And as the meeples get placed, and so many likely spots fill up, do you gamble and place the last worker on a useful spot that might lead to one of your workers being captured, or do you play it safe with a “wasted” spot but keep your small group in tact for another round? Those are just a few of the placement decisions you need to make every turn in Maquis. Everything I love about Maquis can be summed up in one word: tension. This game is a solo experience like few others, where every turn feels like you could be dealt the fatal blow that ends the game prematurely. Careful consideration needs to go in to what you need and how to chart out the path to obtain it. Items beyond food are difficult to obtain, either from the path you need to trace to secure the item or from the cost (not just in what you pay, but in how many turns/actions it may take to even use the space). Every placement of your worker leads to seeing how the opponent places their next Milice worker, which either leads to a sigh of relief or a silent curse based upon where they go. Even worse, it may lead to agony over the loss of your worker. The tension permeates throughout the entire experience – an enjoyable quality for a solitaire game and a fitting experience considering the theme. There are two missions you need to accomplish to win the game, and they are different every time you play (okay, so you could have the same ones, since they are from a small stack of cards, but you get the idea). These often have you delivering a specific set of resources, either bringing different sets in order on different days or bringing them within a certain timeline (such as no sooner than Day 6 but no later than Day 9). Some even require you to keep said worker on the card for a span of time, such as until you deliver the next batch or until a specific day passes. These throw interesting wrinkles in your approach from game to game. Okay, so I said that the difficulty of resources was a good thing. And I mostly stand behind that. However, the one resource that feels like it is “priced” wrong is the money. You need it to get Firearms (it is the most straightforward way, but not the only way) which appear on a lot of missions that I’ve played and are used to eliminate Milice if they are blocking your path to safety. More importantly, you need two money to upgrade a Spare Room space into one of the six available rooms. Because there is only one way at the start to earn money, and it costs you a resource AND a morale to gain, it pretty much forces you to build the money action space first if you have any need to use the Radio spaces for something besides Firearms, or if you want to build more than one room. This means my early game almost always consists of gaining food/medical supplies and turning them in for money for the first two turns, building the money room, and then turning in a set of food and medical supplies to try and earn back part of the double hit on the morale track. There is still tension in these rounds, as the Milice can mess with those plans along the way, but I don’t like feeling like I’m making the game harder for myself if I don’t follow that sequence in the first 3-4 turns of the game. I understand the philosophy on the Patrol deck size. And I have no issues with it as it stands. I certainly am unlikely to be smart enough, or obsessive enough, to perfectly memorize the deck to the point where I can know what those final cards are (even if I do not know their order) when the deck gets depleted. Some players may feel a rewarding sense of accomplishment from that deck memorization. As for me, I’d rather have a larger deck so it needs shuffled less often. Rarely can a person spend time in the Print and Play circle without hearing hushed whispers of Maquis and how it is such a great solo game. It was a game always on the fringe of my radar, but my skill with Print and Play games is so laughably low that I rarely get the opportunity to construct one and get it played. The easier the build, the better the chances of one day following through with it. Well, I should have taken the time to print this one years ago, because it is absolutely worth the time and effort it would have taken to make the game. Thankfully, Side Room Games is helping those of us who are Print and Play challenged and bringing this game to production. And dang, this game is good. So many worker placement games involve trying to successfully top a score, whether that is a personal high score or a predetermined “opponent” score, and it was refreshing to play one where there was a win/loss condition. Not only that, but the placement, and order of placement, for your workers matters a TON in the game. If you cannot make it back to a Safe House successfully, you lose the worker. Run out of workers, and you’ve hit one of the losing conditions. The hallmark of a great worker placement game is struggling to be able to do everything you want to from turn to turn and by the end of the game. That provides serious tension, and it is completely true with Maquis. The hallmark of a great solo game is that it provides tense and challenging decisions, provides replay value, and is easy to navigate. Maquis checks all of those boxes, too, providing an excellent worker placement game for solitaire gaming. Regardless of your current collection, much like Black Sonata before this, you have a slot in your shelves for a game like this because it is just so different than what else is available. The world of Print and Play greats are showing their mettle, with games like Maquis, Black Sonata, Pocket Landship, The Draugr, Mr. Cabbagehead’s Garden, The Maiden in the Forest, Assembly, and more getting published. And you will find that there are a great many excellent games out there that started as a Print and Play, just like Maquis. This is the tactical card-based wargame experience I have been waiting to find. Asymmetric sides, the ability to move and destroy enemy units, objectives to destroy, and a solitaire AI that ramps nicely over time. The artwork is beyond incredible for this game. Not included with the game, but the playmat is equally gorgeous and works quite well with the game. I only wish it wasn’t too long for the typical playmat tubes I purchase. There’s a massive deck of cards, and some of your gameplay experience will be limited by what you draw and when. It seems like the Norman side will have the easier time plowing through their objectives, since most require strength rather than Will. The AI functions in a simple, yet effective, manner to create a little tension throughout the game. The AI round tracker information is on the back of the solo rules booklet, which is fine except when you need to flip through said booklet to clarify things. An additional card, or a separate sheet of paper to track the AI’s resources for the round would have been really helpful. There are a ton of characters to choose from for deck construction. The artwork is nice and the game presence on the table is pretty impressive. Gameplay and the AI turns are relatively straightforward and simple to follow. Playing the game against a friend first really helped propel my understanding against the AI. There are cards and characters who cannot be used in a solo game. Each character has five cards, which are broken into 3 of one card and 2 of another. Personally, I wish there had been a little more variety within each character. The items are a neat addition to the game and add some interesting decisions, both during deck construction and gameplay. The AI ramps WAY hard in Turn 4 out of 10. I went from the cusp of victory to a brutal defeat by the end of Turn 5. Solitaire worker placement that isn’t a beat-your-high-score? That is a refreshing change. The you-place, Militia-place alternating progression is a great aspect that can force you to adapt your plans based on how the Militia appear on the board for the round. Some resources are scarce in the game, meaning you’ll benefit from building new rooms. But those are costly early in terms of actions, resources, and morale. A unique set of missions, of which you only use 2 per game, provides some pretty solid replay value. I wish the Patrol deck was a little bigger, as it seems to cycle about every 3rd turn. Even duplicating each card might be a way to slow down those who memorize the cards and know what is coming next. It takes one really bad turn to end a game. Between permanent loss of workers if captured and a drop in morale, this game can end abruptly even if everything seems to be going in your favor. Not sure if it is good or bad, but there is a resource you can only generate through a built room – and both games so far have needed that for my missions. It is an interesting decision to have such a scarce resource, and definitely drove my plans for both games. Small, portable, and quick setup/teardown time. Those are excellent qualities for this game. The AI in this that I played was simple to navigate and provided a surprisingly good challenge. With the Promo Pack getting this game to 6 different AI opponents, this game should have some nice replay value if all of them are as challenging as Rachel. The rules were easy to understand and I was able to go from opening the tin to playing in under 10 minutes, including reading the rules. Moving those mint workers will start to feel fiddly, especially when moving small stacks of 3-4 in one move. With the AI following a predetermined sequence, the player can know how to prioritize their own actions to either slow down the AI, or to lock in what they need before it is taken. Playable in the palm of your hand makes this fill a very unique role. This is a euro game without a board or tokens. You are gaining resources to upgrade actions in order to gain better resource efficiency in order to upgrade buildings for VP. Cards remain in relatively the same grouping over the course of an entire play. There is a little movement possible, but rarely radical movement. This allows for long-term planning from round to round – but also makes a bad stretch likely to remain a bad stretch. Early decisions to spend resources in a round can haunt you later if you fail to plan for what needs upgraded later in the deck. Iconography and gameplay are intuitive and allows the game to flow quickly. It can be challenging to hold 3-4 sideways cards in their same position, staggered out, while also holding the main deck and looking at the top 2 cards of the deck. Smaller hands will really struggle. The plastic cards in the older edition are really slick, compounding the above issue. I’ve been told the revamped version, which is what will be available going forward, should have this issue resolved. But it is worth noting, if you get the original Palm Island with plastic cards you will probably encounter this issue. Thank you for checking review #90 by Cardboard Clash. My aim is to focus on reviewing board games and how they play for two people and, on occasion, how they play for one person. Because my wife is my primary gaming partner, a lot of consideration goes into finding those games that play well with 2 players, and we typically prefer to find those games that do not require a variant (official or otherwise) in order to play it with just the two of us. **Note: A prototype of the game was sent in exchange for an honest review. This game is currently funded on Kickstarter. Pocket Landship is a board game designed by Scott Allen Czysz that is being published in 2019 by Word Forge Games. The box states it plays 1 player in 15-45 minutes. Pocket Landship is based on the print and play Board Game Geek Award nominated (2017) soloplay card wargame. In this version we see a steampunk theme and expanded gameplay with additional enemy and friendly options. as well as multiplayer options. Command a Landship (the original British term for tanks) to clear a sector of enemy infantry, artillery, and enemy walkers, landships and alike. The player chooses a Landship to control with weapons or support units to create either a single high powered Landship or a more disparate defending force, including potentially smaller Landships or squads of shock troops. The enemy appears as waves of enemy landships, walkers, artillery, infantry, and mine fields arranged in 2 rows of 3 cards. Each turn, the player will roll 3 6-sided dice and assign each die to each of their cards to attack the enemies. Then, for the enemy turn, roll the 3 dice and assign them low to high left to right across the front enemy line, then take the assigned actions. Each card has its own damage track. When a card is destroyed, it is removed from the game. Win by destroying all 6 enemy cards. Lose if the enemy destroys your landship. The turns are quick in the game, keeping a frantic pace moving forward. Especially the enemy turns, as it follows a very simple system of how to assign the rolled dice to those enemies. They have a clear table to follow, which tells you exactly what they do based on the number rolled. The best thing a solo AI can do in a game is to avoid making the gamer take a lot of time, or dedicate a lot of thought, to playing out the AI turn. The efficient design here is perfect for this game experience. Player turns are another highlight, as it offers more autonomy to the player for decisions that meets the eye. Sure, you’re rolling dice and there aren’t ways to mitigate those rolls. However, you get to choose how to allocate those dice, meaning you are in control of how to best maneuver those results for what you need at the moment. While the turns are still quick for the player, there is a surprising amount of tactical planning that goes into how to best use those dice. The art and the steampunk theme for the game is a definite improvement over the World War I theme for me. And I can appreciate the reason they wanted to change the theme, since the game was already stretching historical accuracy for WWI. Making that change likely adds a broader appeal to those who aren’t as historically-inclined, while still maintaining the solid gameplay and mechanics that made the original print-and-play of Pocket Landship a hit with players. The addition of the Commander cards and the Advantage cards serve as nice additions to the game. I never played the original, which did not include those, but I couldn’t imagine ever playing without them as they serve to enhance the player’s range of decisions in the game. There are many ways to mix-and-match your units from game to game to provide unique experiences. Already with just 6 to choose from (using 3 total) in the demo box, there is a pretty big difference in feel for how they operate during the gameplay. I can only imagine how much stronger that will be with more cards to choose from. There is a campaign mode in the game. Sadly, the demo box did not include enough items to test it out. However, based on the information provided in those rules I can tell you that I am excited to get the full copy of the game and try it out. Using a different set of dice as health trackers is a great idea and something many gamers would likely have done had they provided tokens instead. I was lucky enough to use the same size dice that are unlocked in the campaign, and both sets of dice feel great and serve their functions well. The rules are short and simple, allowing you to get into the gameplay quickly. There are a few areas that could use a little expansion and attention to clarify things, but overall they are minor and the designer was quick to answer questions. By the time the final rulebook is released, I am confident this will be cleared up into a positive point. You can roll fewer dice to perform an emergency repair on one of your cards. This sounds great in theory, and is probably something I should consider doing more often. But there is a pretty good chance of rolling at least a +1 repair for some unit, but you cannot guarantee it would repair the unit needing those repairs. At the end of the day, this is still going to have swings from dice rolls. I’ve seen my cannon go from 3->0 through a series of lucky enemy rolls. I’ve dropped them down through a series of fortunate events. There is enough decision space along the way that it rarely feels like you got robbed by the dice. But it can, and likely will eventually, happen. Thankfully, the game is quick enough that you can simply reset and try it again. It isn’t often that a game surprises me, as I usually have a pretty good idea now if I’m going to enjoy a game or not before it even hits the table. There is a lot about Pocket Landship that checked the wrong boxes, being a dice-chucking wargame that originally had a theme that didn’t interest me in the least. I assumed this would, at best, fall into the category of One Deck Dungeon and be a game that I’d be okay with playing from time to time but never be a game I’d actively seek to get to the table. I dragged my feet on even agreeing to try out a review copy. The designer had been kind enough to inquire about my daughter’s health as part of his reaching out for the game, and the last thing I wanted to do was agree to review a game I wasn’t keen on and wouldn’t want to get to the table enough times to provide a review. So after that feet dragging, I finally agreed to review the game for him because, let’s face it, it was a perfect addition to the Spring of Solitaire. And the day it arrived, I was able to get through the rules and set it up to play for the evening. And when the first game was done, I had to reset it and play again. The next day I was going to set up a different game to play, but I ended up setting up Pocket Landship instead. And that is when I knew that this game was a hidden gem. Based on a fraction of the contents that will be in the box for the game, not even including the Kickstarter unlocks that they are plowing through. The next morning I became a backer on their campaign, something I almost never do because I habitually avoid Kickstarter. This game was an exception. So instead of rehashing the praise I heaped on aspects of the game above, I’ll leave it at this: I didn’t expect to like the game. It isn’t the sort of game that I would normally want to play solo, except in very rare occasions. Except I did like the game – enough to back it. And I do want to play it again, even now, as I am set to move on to a horde of other games that are going to demand my attention in order to try and cram their reviews into this Spring of Solitaire. They are crushing it on Kickstarter right now. And the best thing about their campaign? They’ve already playtested and designed those stretch goal items, and are not scrambling to add more just to satisfy those who want “more” as a reward. I respect that a lot, the willingness to present a cut-off point for added content into a small box game. And I have no doubt the final version of this game will be worth every penny as it hits the table far more often than it should. **Interested in the game? Check it out on Kickstarter! Thank you for checking review #89 by Cardboard Clash. My aim is to focus on reviewing board games and how they play for two people and, on occasion, how they play for one person. Because my wife is my primary gaming partner, a lot of consideration goes into finding those games that play well with 2 players, and we typically prefer to find those games that do not require a variant (official or otherwise) in order to play it with just the two of us. **Note: A prototype of the game was sent in exchange for an honest review. This game is slated to hit Kickstarter in April. Robin Hood: Hero of the People is a board game designed by Rodney Owen that is being published in 2019 by The Game Crafter, LLC. The box states it plays 1 player in 15-30 minutes. Play as Robin Hood and his merry men in this solo card game. As Robin Hood you’ll rob from the rich, give to the poor battle the Sheriff of Nottingham, his goons and recruit your merry men. Increase your influence over the people to gain power and win the game, but be careful, the Sheriff has put a bounty on your head. If it gets too high the people will turn you in for the reward. Robin Hood: Hero of the People is a solo card adventure. The object of the game is to recruit your band of Merry men consisting of Maid Marian, Little John, Will Scarlett, Friar Tuck, Alan a Dale and Much the Miller. There is also a bounty on your head. During the game the bounty will increase so be careful that it doesn’t get too high. Each turn has 3 phases, Rob the Rich, Action and story Phases. During the rob the rich phase draw 3 cards from the loot deck. These include resources that you will use to complete actions. During the story phase, draw and resolve a story card. Story cards add extra challenges to players, some you can overcome, some you can’t. Once you have other characters recruited you can swap to take advantage of special character abilities. Once you have all the characters available and the bounty set at 500 gold or lower, you have won the game. If at anytime the bounty tracker reaches 1000 gold or you play the final story card, you lose. There simply aren’t enough Robin Hood games out there. He remains one of my favorite characters and stories to visit, especially the original Middle English tales, and so any time I see Robin Hood as a theme I’m going to be interested. It has some nice artwork that evokes the modern version of Robin Hood. The game is a super-fast setup and teardown. It has quick-moving turns that have three phases, each being simple to understand and to execute. All of this combines to make a solo game that will be easy to get to the table, even as a last-minute decision during an evening because it moves along quickly and goes from box-to-table with relative ease. The bounty system is interesting and clever. I wish it was a little more involved here, but it does provide something to keep an eye on and to debate whether you need to burn an action to reduce the bounty level – especially since being at 500 or lower is a requirement for winning the game. There are multiple characters (seven of them!) to recruit and use in the game. While you’ll always begin as Robin Hood, the order in which you recruit them can change from game to game and they have their varying degree of usefulness. Do you save up an extra turn or two early to get that high-cost but extremely useful character right away? Or do you settle for that easy recruit, taking advantage of the extra cards or actions they can provide? The story cards deck is a great concept to include in the game. After all, it adds some risk into the mix, and can foil your plans. It serves as the timer for the game, and has a ramp-up in effect as it gets to the B-series of cards. However, they can whiff far too often in their effect, and even the ones that raise the bounty are not as impactful as they could be. I’ve found the deck as a whole is far too large, and that by the time I get to the B-deck I am close enough to ending the game that, at worst, the deck will delay my victory by a handful of turns. I’m yet to be completely foiled by its impact. I’m still puzzled as to why this happens at the end of the turn rather than second, making it so your cards you just played are at risk rather than just those you’re storing up for future turns. The rulebook needs work. Everything outlined in there is clear enough, and the game is pretty darn simple mechanically. But there are small things that could use some clarification, such as the fact that you only use one character each turn (it never mentions that, nor the timing of when you would choose who to use for that turn). More than just that, it feels like this game needs just a little more development time – something it may get through the crowdfunding idea generator via kickstarter. There’s a lot of good things in the game, but as you’ll see in some of the points below, it needs just a little more polish and sharpening of the player experience. At least to cater toward my own taste as a solo gamer. I understand the possible benefit from the Sherwood Forest cards. I absolutely love that they exist. However, they have proven to be nothing more than a waste of an action and resources. If they used something less common, such as the rarely-useful Archery cards, I might pick them up more in off-turns. Since they are not a win-condition, there is little reason to spend 6 actions and 12 might to construct those cards for a small decrease in bounty and protection for a few characters from being captured. There is absolutely no tension in this game, at least for me when I am playing. Is there times when I idle a few turns until I finally get the cards I need? Sure, and that is to be expected with the oversized stack of Loot cards. But my Bounty has never gone north of 600 (and you need to keep it at 500 or lower to win, with plenty of ways to decrease it by at least 100 per round), and I’ve never come close to the end of the “B” story cards. I don’t always get into those, in fact. By the time that point draws near, I’m usually a recruit or two away from winning and have a character-engine in place (Maid Marian to pull 2 Gold from my discard, next turn use Will Scarlett to draw from the discard pile. By his action phase, I should be set to recruit the next character. Rinse and repeat.) I’ve never lost nor come close to losing the game across all my plays. And while I’ve enjoyed the plays, the lack of tension is unlikely to make this be a game I reach for often because I want a game where it feels like I have to work hard to avoid defeat. Part of the problem is there are likely too many story cards in the deck, and the ramping up is far too slow. Randomly removing some of them might make for a more exciting game. This game held the potential to check so many boxes for me: solo game, Robin Hood theme, a deck of story cards, card-driven gameplay, multiple characters. Add in a small footprint, quick setup/teardown, and good game length and there is oh so much potential in this little box. Sadly, the game itself never quite lived up to what it could have been. This is by no means a bad game, but with the glut of games being produced anymore a game needs to stand out from the crowd rather than being a game in a pile of games. And perhaps some of the fault for this rests with me, as I probably had pretty high expectations going into the game and few games can ever meet those lofty pre-game hype expectations. Yet as I played this, every time I felt like it lacked a real sense of tension during the game. And that is, I believe, where it comes up short. Ignore the fact that the Sherwood Forest cards can be ignored (and likely should be, too, as the cost to build them is unlikely to offset the small benefit they provide). Disregard those King Richard cards that are really costly for the moment. Even gloss over the small improvements that could be made with the rulebook to clarify the gameplay. The crux of the problem here is a lack of tension. My win ratio is 100% setill, and I’m yet to come close to losing regardless of the difficulty level. Twice I’ve gotten into the Story 2 cards, and never have I come close to the end of that deck. Only once has my bounty climbed above 600. Once you draw those cards you need to recruit a character, there is little the game can do to stop you from getting that character. Far too often those story cards are a flip and discard because they target cards I either haven’t placed out or already spent in the second phase. I’ve had times where I felt frustrated when I couldn’t draw the cards I needed from the loot deck – having everyone left needing Gold for recruitment but getting no Gold cards can do that – but I’ve never felt like I was at a risk of losing the game. Not only that, but it almost feels like I’ve “cracked the code” for this game, knowing which characters to prioritize recruiting (such as Maid Marian, because she can pull 2 Gold from the discard pile OR use her native 2 Influence to drop the Bounty by 100). I prefer a challenging solo experience, where I am having to cleverly outwit what obstacles the game is placing in my path or face imminent defeat. And while this game has lots of neat things, a theme I like, and a wealth of potential here; it falls short of the measuring stick for what I personally prefer in a solo game experience. Spring is officially here and thus begins the kick-off of the Spring of Solitaire 2019. Thankfully, I’ve had time to get a few of the games that I am covering to the table already this month, and so I thought it would be fitting to provide some first impressions for an initial wave of five games. These are quick takes on them all, but they should provide some indication of how well, or poorly, they are being received after the first play(s). The ease and difficulty of moving along the scoring path is fascinating. Purchasing from the market of cards provides tense and interesting decisions between using money you need to move on the path vs. getting cards to build an engine for later turns. A farming game with a twist, providing the most enjoyable solitaire Rosenberg game so far for me. Loans cannot be paid back, but rather cause you to move back a space on the scoring track at the end of the game. Such a clever decision! Two styles of customers to serve encourage careful planning of what is planted and which ones to take and when to maximize your earning potential. A single reshuffle in the solitaire game means you cannot plan on reusing the same cards again and again like you might in a multiplayer game. Different size fields, with restrictions on the crops to plant in each size, provides more tough and interesting decisions every round. The initial pack has limited replay, but monthly installments that can be mixed and matched provides incredible potential. Characters are all very unique in their abilities and how they function, and each presents interesting decisions to maximize their usefulness. Monsters behave in different ways, making it so you need to be somewhat flexible in the approach. Unless the scenarios get longer, it looks like only 1-2 characters at most might get to level up and unlock an additional cube. This is partially disappointing, yet also makes it even more important to decide who to level up first. Planning ahead is a really key component of the game, which is wonderfully delightful. This is more dependent on dice rolls than it first appears, with rolls taking place to determine if you have a battle, to trigger for traps, to search for items (which the scenario may require you to roll a specific number on 2d6 to progress on your quest), to see which monster you face, to generate the monster’s attack each round, to attack with your heroes, and any time you use the Thief character. If the word fiddly scares you away, this might not be the perfect fit for you. Lots of cube manipulation, which I don’t mind, but others may. The monster generation system, while inconsistent, is as refreshing and innovative as I had hoped and will be an aspect I enjoy for many, many plays. The two-tiered character progression over the course of a session is outstanding and provides nice, solid choices. Every new encounter feels like it is about 3x stronger than you can handle – until you figure out a way of handling this new threat and coming out better than you expected. No randomness in combat makes for an exciting experience that can be considered to be part puzzle. A mix of worker placement and action selection combine together with the fantasy exploration, adventuring, and character progression to deliver a game that I can see enjoying for years as it hits the table time and time again. This game is a table hog and demands a lot of time to play, even with the one-shot scenario sessions. Story cards can take much longer. This will likely be the type of game to set up and leave out for several sessions. So much content to explore – while not a legacy game like Gloomhaven, this box will keep me busy for a long time. I knew this game had an interesting balance of mechanisms in here, but I wasn’t anticipating the challenge the solitaire mode provides. The pressure to take a new quest each turn, and to complete every one taken by the end, provides some excellent tension. I never felt like I could accomplish everything I wanted on a turn – sometimes I had to figure out the most effective use of those limited actions and resources in order to survive the round without taking a loss. This is definitely something that was a positive. I’ve learned the importance of getting more adventurers in my pool as soon as I can – since I need to take a quest each turn it quickly reached a point where my forces were spread too thin to maintain success. This takes up more table space and required more setup time than I anticipated. However, it also provided an experience that challenged me and makes me want to revisit the game and plan better. It took a lot of referencing little rules here and there to make sure I played correctly, and I still missed little things. However, after that first failure I feel confident the next play will be faster and more effective. The mining aspect of the game never really felt like it was going to provide much of an impact. It was probably due to my inexperience that it never shone through on that first play – although I can see how it would be great with actual human opponents. I see the comparisons on this with Sagrada, as both have dice drafting. However, this provides so much more to the game than just drafting the dice of the proper pattern. I normally am not a fan of “beat your own score” solo games, but when I finished this one I immediately wanted to set it back up and play again. I also believe the expansion will help add more than just a high score to the solo game, but I’d need to research more to confirm. If so, it’ll be a must-buy to take a solid solo game already and give it a win/loss condition. There is still tough decisions to make for drafting dice, courtesy of the gold die being rolled. You’ll need to weigh your decisions on whether you want the higher valued dice at the risk of losing a market card or to play it safe with the lowest die so you can get that market card you need. Or maybe you want the middle die for that extra gold, with a lower chance of losing a market card. So much cleverness here, which is a major part of the appeal for Roll player solo. There are market cards that reward you for having a poor stat. Essential appearance for a dice game. There is a ton of dice manipulation/mitigation in here with the abilities that trigger when you place a die in a specific stat. Yes, I’d like to flip that 1 to its opposite side and lock in that 6 instead. This game has a really fast setup and teardown, which will help it get to the table often.